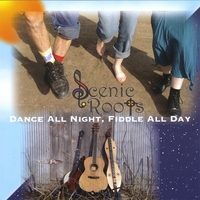 Toe-tapping old-time and contra-dance tunes, plus a few ballads featuring fiddle, mountain dulcimer, claw-hammer banjo, guitar, hammered dulcimer, piano, mandolin, and vocals. It will take you back in time, when people used to gather on front porches. Released in 2008.